In Power to Become, Elder David A. Bednar explores how the Savior makes possible His divine commission, "Therefore I would that ye should be perfect even as I, or your Father who is in heaven is perfect" (3 Nephi 12:48). "As we increase in learning about the Savior and His gospel," Elder Bednar writes, "as we strive with ever greater consistency to act in His doctrine, ordinances, and covenants, then we are blessed with power through His Atonement to increasingly become like Him." 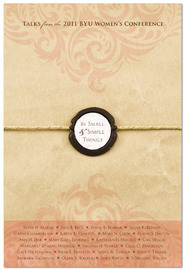 Power to Become introduces vital tools we all can use to invite these eternally significant blessings into our lives. 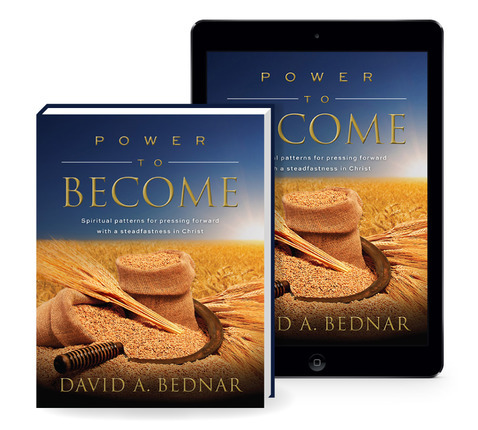 Included within the eBook are over two hours worth of insightful video segments of Elder Bednar speaking about the "Power to Become" with ordinary church members. This is the third book in Elder Bednar's series. The first book is Increase in Learning and the second book is Act in Doctrine. The first thing I noticed about this book is that there are wide margins to take notes and questions to consider at the end of each chapter, along with space to write your own questions and feelings about what you've read. That encouraged me to get out my scripture markers and start highlighting. Since everything can easily be highlighted, I limited it to what I felt spoke to me particularly at this time. There are only 5 chapters in this book but each one is meat-filled and takes a while to digest. Here's just a taste: Chapter One talks about what it means to become and the role the Savior's Atonement plays in our lives. Chapter Two talks about the spiritual gift of personal peace and he shows us the pattern that invites the gift of peace into our lives. In Chapter Three, he discusses Priesthood ordinances and willing obedience. I loved the section about obedience operating at a number of different levels and the explanation of that. Chapter Four is about enduring valiantly and what that entails. In Chapter Five, he brings everything together from all three books, briefly reviewing the sequence and basic concepts and principles from each book (Increase in Learning, Act in Doctrine and Power to Become.) I really enjoyed this chapter as I haven't read the first two books and feel like I got to sample the teachings in those books and look forward to reading them as well! 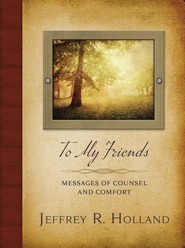 This book is filled with scriptures, quotes, stories and hymns. I loved that the most. Music is a big part of my life and I enjoyed reading his words and then reading the words of a hymn that reinforced what he spoke about. I know I've only scratched the surface of what I can learn from this book. This is definitely a book I will read again and again and look forward to getting more and more out of it every time I do! I was amazed at how quickly I became engrossed in Elder Bednar's newest book, Power to Become! ( I have to be fair and let you know that I have not read the previous two books, however, I didn't feel at a disadvantage for reading this one.) I loved each scripture, quote and example shared by Elder Bednar! I felt while reading the book that I could use these concepts to become empowered to change myself for the better. I could have easily highlighted the entire book because there were so many things that resonated with me! (Thankfully there are extra wide margins for notes and sections at the end of each chapter for reflection where you can write in your own thoughts!) I can become who my Savior wants me to be! What really stuck with me is that at the end of my life it isn't going to be about the sum total of what good and bad choices I have made, but about who I have become as a person. For anyone searching for ways to develop spiritual patterns in their life, Power to Become gives you tools to help you develop those patterns and become the person you want to be. One of them is that by small and simple things are great things brought to pass. When we do the small and simple things like reading our scriptures we are filling our lamps with oil. There was one thing that Elder Bednar said that I want to type up and hang where I can see it every day. It reads, "Every aspect of our lives is influenced by a correct understanding of who we are and of our responsibility to be loyal to the royal within us. This fundamental truth is central to enduring valiantly to the end and becoming all that the Father and the Son yearn for us to become." Wow, if we truly understand who we are as children of God, then it will help us endure and become all that Heavenly Father and the Savior want us to become. How amazing! There are so many wonderful treasures of knowledge just waiting for you to discover within the pages of Power to Become! I recommend this jewel of a book to everyone! I received an ARC of this book. all thoughts and opinions are my own. All of us are striving to be better, but sometimes it's hard to really get a feel for how we are supposed to get there. As we work towards perfection, it's easy to get bogged down in the details of life. However, we do have amazing potential if we can only see it. This book works to have us truly see what our potential to become is. Each chapter offers observations of different areas that we have the power to become stronger in. These areas will ultimately make us much better people. Full of thought-provoking quotes and scriptures, this book gives people inspiration to truly work towards becoming everything we have the potential to be. I found this book to be very inspiring. There are so many quotes that I'm not as familiar with but offered so much wisdom and hope. In particular I liked the chapter about personal peace. There were so many examples of how people in extreme circumstances found amazing amounts of peace. I strive to be able to find this in my everyday life. I also enjoyed how interactive this book can be. There are super wide margins to take notes, and each chapters ends with questions and spaces to write down your answers. This allows for a lot of thought and inspiration as you read this book. Add in all the videos, and these lessons taught in this book go beyond just what you read. If you are looking for words of wisdom and hope, look no further. This is a great book. Having read the other two books in Elder Bednar's trilogy -- Increase in Learning, Act in Doctrine -- I ordered Power to Become the moment it became available. Each of these books discusses "spiritual patterns" for gospel growth in its respective subject; but the trilogy as a whole presents an overarching pattern of "learn," "do," and "become" needed to follow Christ. Together, they become a single course of study greater than the sum of its parts. It's Elder Bednar's focus on active learning -- the practical application of our studies instead of passive reading alone -- that makes these three books together into a combined instant classic of gospel study. Power to Become explains that the Atonement, the priesthood, church ordinances, and other gospel tools use our knowledge and righteous obedience to transform us into Christlike disciples filled with faith, hope, charity, and joy. The three books together teach that gospel power comes from a combination of study, action, and these tools. All three are required, but the Lord magnifies our learning and actions like a light through the lens of gospel tools to give us back more than we put in. These three books have made a significant difference in my growth as I've tried to apply their patterns in my life. If you start the trilogy with this book, order the other two. If you've read the others, study Power to Become as the capstone volume in the trilogy. All three should be top-tier books on any gospel study shelf. "I suspect that Church members are much more familiar with the nature of the redeeming and cleansing power of the Atonement of Jesus Christ...But we also need to appreciate that the Lord desires, through His Atonement and by the power of the Holy Ghost, to live in us--not only to direct us by also to empower us." If you go on you will learn about the spiritual gift of personal peace. "One of the greatest spiritual gifts we can be given as we press forward along the strait and narrow path is personal peace..."
Even during times of trial and testing we can have that peace. Next you will be taught about Priesthood ordinances and willing obedience. He also teaches us how to endure valiantly. I love that...we are not just to endure...but to endure valiantly! Wide margins and end-of-chapter pages for note taking as you receive your own thoughts and feelings. URL links for short videos of Elder Bednar teaching even more in a discussion group are included. One of the things I love about Elder Bednar is his careful precision in everything he says. When I read his words I know that each word has been carefully thought out and applied. This book is a follow up to his previous books, Increasing in Learning and Act in Doctrine. 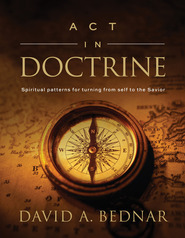 In this book, Elder Bednar highlights the importance of continuing the journey to perfection by increasing in learning, acting in doctrine in order to receive the 'power to become' like our Savior through the Atonement. I really liked that the book is set up to be used, meaning written in, there is room in the margins specifically for taking notes with questions and references at the end of each chapter along with room to write one's findings and feelings and thoughts. This is truly a book to be studied along with the scriptures and other references that are abundant. There are also discussion videos that can be accessed through the codes in the book or through YouTube. Truly a wonderful book and one I can highly, highly recommend. Another GREAT one from Elder Bednar! I'm super excited that Elder Bednar has come out with a third book in this series to help us along as we continue learning more about following Christ. In Power to Become Elder Bednar references the scripture in Doctrine & Covenants 11:28-30 where the Savior says "that as many as receive me, to them will I give power to become the sons of God..." Elder Bednar has a strong desire to help his readers answer complex gospel questions for themselves and through this book he guides us along sharing insights on everything from the atonement to priesthood power to obedience. So insightful! Full of spiritual learning! Also, here are a couple of things that I really, really like about this book: Extra-wide margins allow for note taking directly in the book. There are pages to write your thoughts and feelings, to research, study, etc. There are a lot of recommended readings at the end of each chapter to encourage further study. Chapters also have a QR code that links you to Deseret Book's website called Seek where you can view videos of group discussions. This was another fantastic book that can't be beat when it comes to studying doctrines of the gospel!